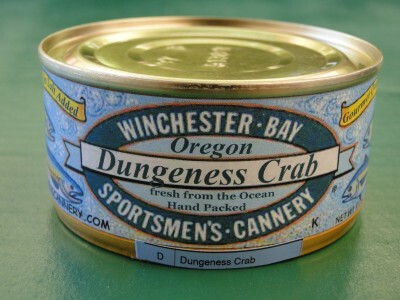 Prized for its succulent flavor and distinctive texture, Dungeness Crab is a gourmet’s delight of unmatched quality. Its moist white meat is as versatile as it is delicious. Served hot or chilled, its mildly exotic flavor is ideal in pasta, pastry, sauces or salad. Contains citric acid. May contain shell fragments. Hand picked and canned in Winchester Bay Oregon.